Our fine Bavarian premium-quality PILS is known for its choice hop bitters and refreshingly tangy flavour. This is attributed not least to the unique aromatic hops obtained from the Hallertau Region. 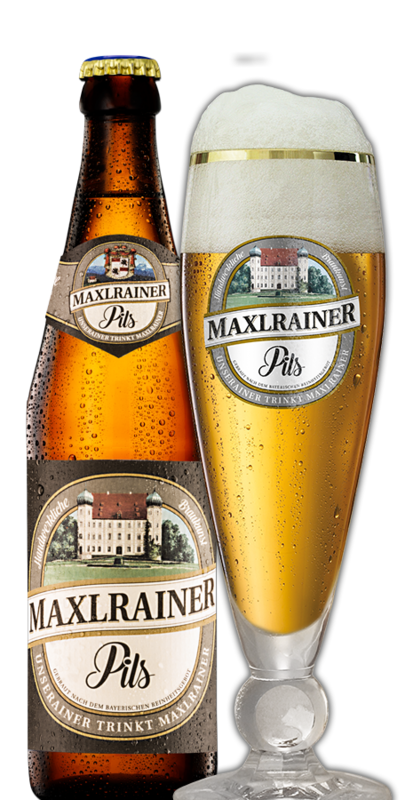 MAXLRAIN PILS is one of the classic beer specialities featured in the Maxlrain range that has likewise qualified for the DGL Gold Medal years in succession. The more convivial the get-together, all the more likely an extra glass or more of MAXLRAIN PILS will be ordered. MAXLRAIN PILS comes in the handy 0.33l bottle and is also available in 30l casks.